When I look back over the first year of starting my little surf lifestyle business I can honestly say that one of the nicest and most inspiring people I've met (and we haven't actually met yet!) is Jacqui Fink. She's the creative fingers behind all the beauty of Little Dandelion. She knits the most amazing creations with the biggest knitting needle you could see. Her products have graced the pages of nearly every magazine cover you could image and for good reason. They are simply divine. Here are a couple of images showing her lovely blankets beautifully styled by Glen Proebstel and photographed by Sharyn Cairns. Jacqui and I 'met' on Instagram. We were mutually 'liking' each other's creative work. 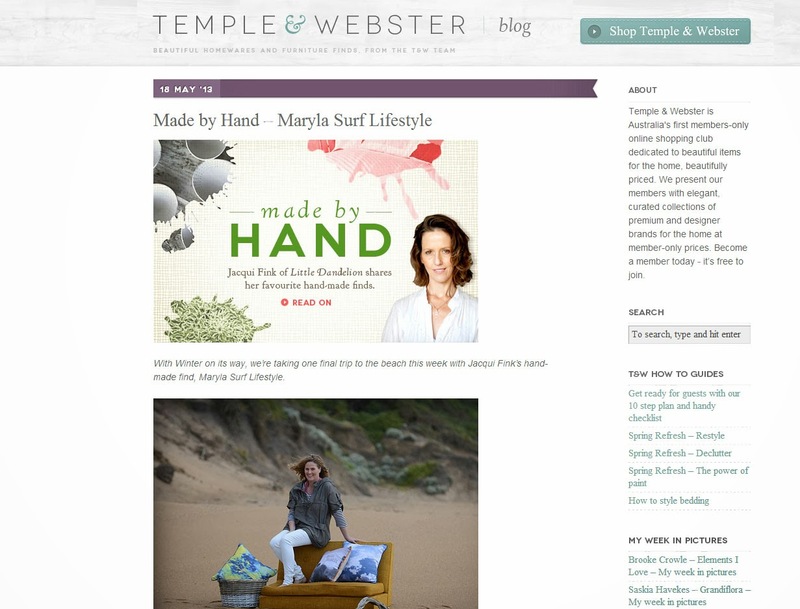 I was so honoured when she asked me to take part in a collaboration she was working on with Australia's premier online home wares shopping site Temple and Webster. Here's the blog post from Jacqui. It really is refreshing to meet people who gives you their time and truly are interested in inspiring others starting out. 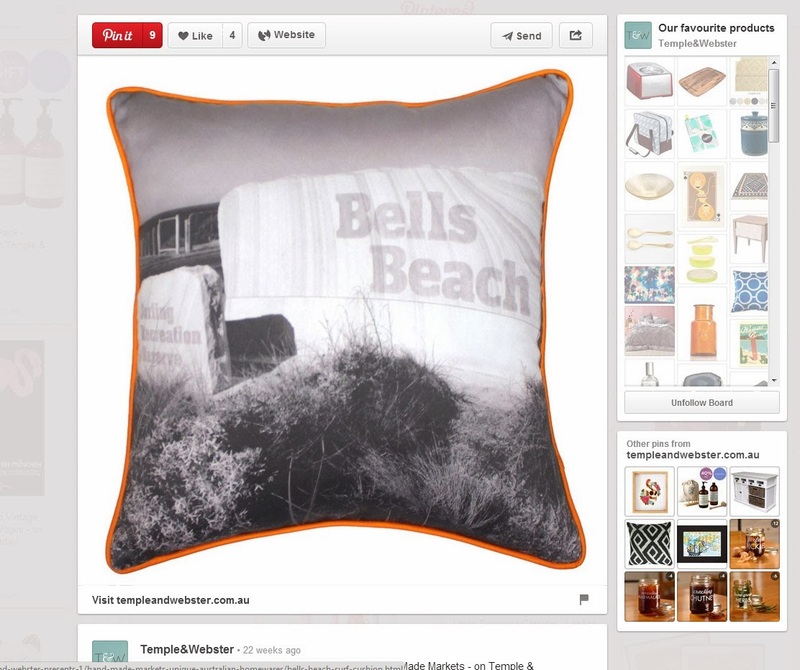 Temple and Webster's favourite products board on pinterest. As I grow my little business into the vision I have in my heart and head I will always remember how it felt for me to have someone extend their hand in support.